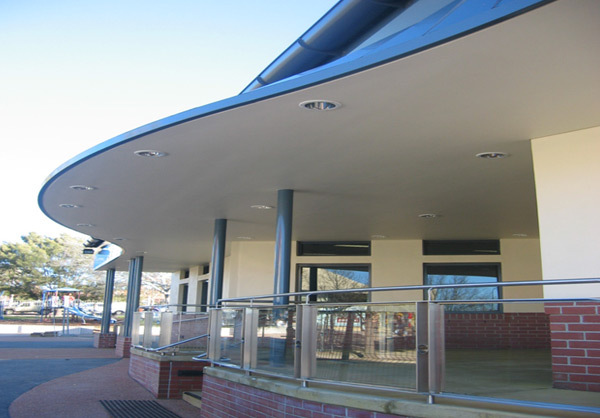 The project consisted of building a new library facility within the Kippax shopping precinct to replace the outdated ‘temporary’ accommodation. 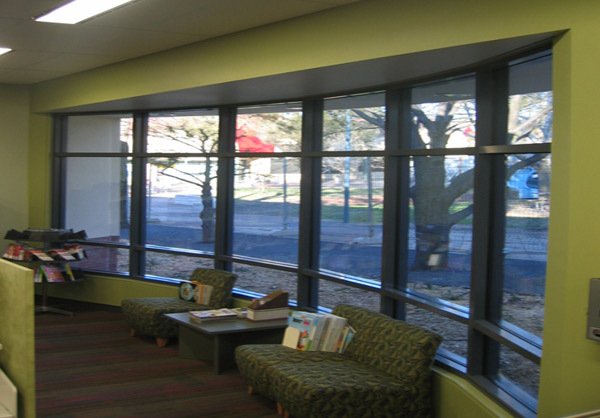 This included the construction of a single storey building to house the library collection, several reading areas, a community meeting room, a literacy and computer training room, a work room and some administration space. Reconfiguration of the access road and car park, as well as a new forecourt and landscaping, also formed part of the construction contract. It was a strict condition of the contract that the casuarina trees to the south of the building were not be damaged or interfered with. Due to the close proximity of these trees to the new building, careful planning had to be undertaken to complete works that face of the building before being built out, and without causing any damage to the trees. Winner of the 2006 MBA Excellence in Building Awards in the category of Commercial Building less than $3 million.